Written by alex matthews on Friday, March 17th, 2017 at 8:14am. Buddy Guy by Alex Matthews. The amazing guitar wizardry of the Experience Hendrix Tour made a visit to Harrah’s Resort Southern California on Saturday, March 4. The all-star tribute to late guitar god Jimi Hendrix is an assemblage of current guitar greats from a variety of rock and roll genres. Last visiting the San Diego area in 2014, the tour features a variety of rotating performers in each city, and it was a treat to see and hear the show again this year. Harrah’s SoCal Resort based in Valley Center was a fantastic venue for this tour, with the crowd of guitar lovers varying greatly in age. 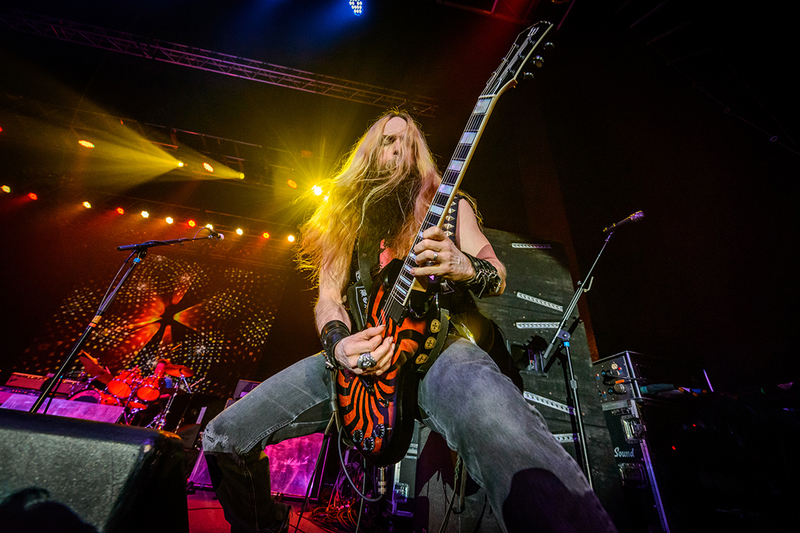 Performers on this year’s tour included original Band of Gypsy’s bassist Billy Cox, Grammy Award-winning blues legend Buddy Guy, and metal great Zakk Wylde, as well as modern guitar virtuosos like Kenny Wayne Shepherd, Jonny Lang, and Dweezil Zappa. Other stellar performers rounding out the lineup included Stevie Ray Vaughan drummer Chris Layton, Indigenous’ Mato Nanji, The Slide Brothers, Ana Popovic, and bassist Scott Nelson. The Experience Hendrix show is unique in that, every few songs, the lineup of the band actually changes. Different performers come together to form bands that play cover versions of some of Hendrix’s most classic hits. Each band showcases a specific guitar player, and the groupings each have a unique sound. Highlights of the show included Dweezil Zappa and Ana Popvic trading intricate solos on “House Burning Down” from the Electric Ladyland album. Black Label Society guitarist Zakk Wylde displayed an insane tapping solo that led into a searing version of “Manic Depression.” His take on the classic “Little Wing” was also a solo extravaganza, as he literally ventured out into the large audience to shred directly into a sea of cell phone cameras. Johnny Lang led a passionate take on the Experience classic “Fire” that was a truly incendiary performance. And the real highlight of the evening — as usual — was seeing guitar legend Buddy Guy and Hendrix bassist Billy Cox on stage together performing classics like the bluesy “Red House,” which drew the biggest roars from the crowd. 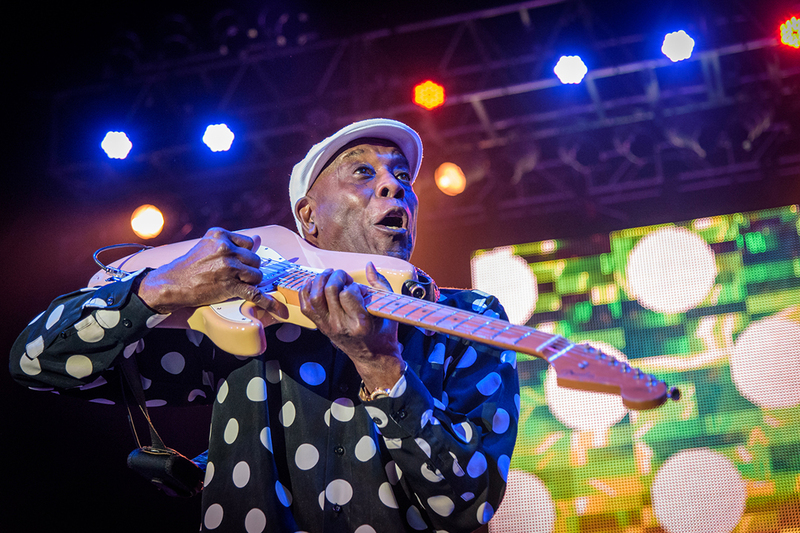 Buddy Guy always commands the room, and his blues solos are on another level — even among this group of talented musicians. Seeing all these real life guitar heroes on stage together is a special experience indeed. This is a tour not to be missed if you’re a fan of Hendrix, classic rock, or any of the amazing performers that tour with this show.